While this is our entry level head unit, it is also the most efficient head unit for stock engines in the 500 – 600 RWHP range. We have seen the Si pushed over 700 RWHP (with proper engine and fuel system modifications) many times, but we would recommend stepping up to the Ti head unit if your goals are in this area. The Si is also the only head unit that can be used in our CARB compliant kits. The V2-SI (ENGINE OILED) and V3-SI (SELF-CONTAINED) models, with their highly advanced computer designed gears feature an optimized helical profile which allows for quieter operation while providing superior performance. All V-2 SQ units feature a 3.6:1 internal step-up ratio and are direct bolt-on replacements for our HD V-1 units. The supercharger uses the quieter helical cut gears (3.61:1 ratio). The V2-SI and V3-SI Supercharger is capable of up to 775HP on modified vehicles. Extraordinary 78% peak efficiency. 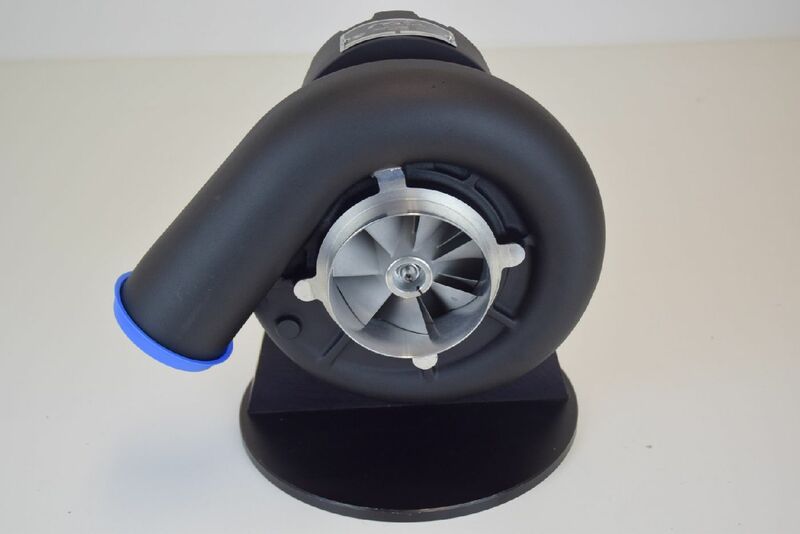 Ideal for latest generation of improved breathing, high-power street and strip engines. The V1-SI is a heavy- duty version with high speed bearings, straight cut gears and is pressure oiled from the engine. The RPM limit on the V1-SI is raised to 55000 due to its high speed bearing set. The new improved Si impeller design provides increased flow and efficiency over earlier designs. We also have a great “Trade In” program that you should take advantage of when looking to step up to a bigger head unit. The Ti Trim is the next step up from the Si and more suited for those running aftermarket camshafts, free flowing exhaust, Methanol Injection etc. It’s a relatively small step up but enough to get you comfortably to 700 RWHP with supporting engine and fuel system mods. We’ve seen over 800 RWHP from the Ti but, in our opinion, that is way up in YSi territory. The standard V2 (ENGINE OIL FED) and V3 (SELF CONTAINED OILING) models, with their highly advanced computer designed gears feature an optimized helical profile which allows for quieter operation while providing superior performance. All V2 and V3 units feature a 3.6:1 internal step-up ratio and are direct bolt-on replacements for our Si head units. The V1-TI is a heavy- duty version with high speed bearings, straight cut gears and is pressure oiled from the engine. The RPM limit on the V1-SI is raised to 55000 due to its high speed bearing set. The new improved Ti impeller provides increased flow and efficiency over earlier designs. Available in Polished or Satin Black finishes and engine oiled (V1 and V2) or self- contained (V3) versions. The V7-YSi is a BIG step up from the Ti Trim and recommended for all out performance on properly modified engines with adequate fuel supply and Methanol Injection. The V7- YSi is only available in Engine Oiled versions. "Big blower" performance in a smaller package that fits under the hood of all C5, C6 and C7 Corvettes. The V-7 Series combines the advanced technology and race-proven performance and fits all of our existing mounting bracketry. The V-7 is designed for vehicles with highly modified engines and extreme CFM/boost demands. All units feature our exclusive D-port volute for improved efficiently and require the use of our Raceport Valve or larger to meet discharge flow demands. The heavy duty (H/D) configuration includes high speed, ceramic hybrid ball bearings, ideal for race applications. Requires a minimum of 8 rib drive and we highly suggest the addition of our Secondary Drive. Available in Polished or Satin Black finishes.